Standard duty (frequent use) crimping tool for crimping a wide variety of non-insulated terminals. Compact and robust with spring return action. 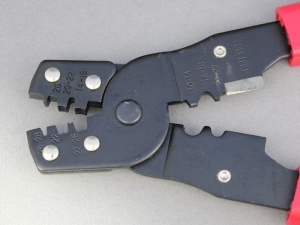 Also features a cable cutter. Please note: These will not crimp ignition terminals. Please use tool P00454 instead. 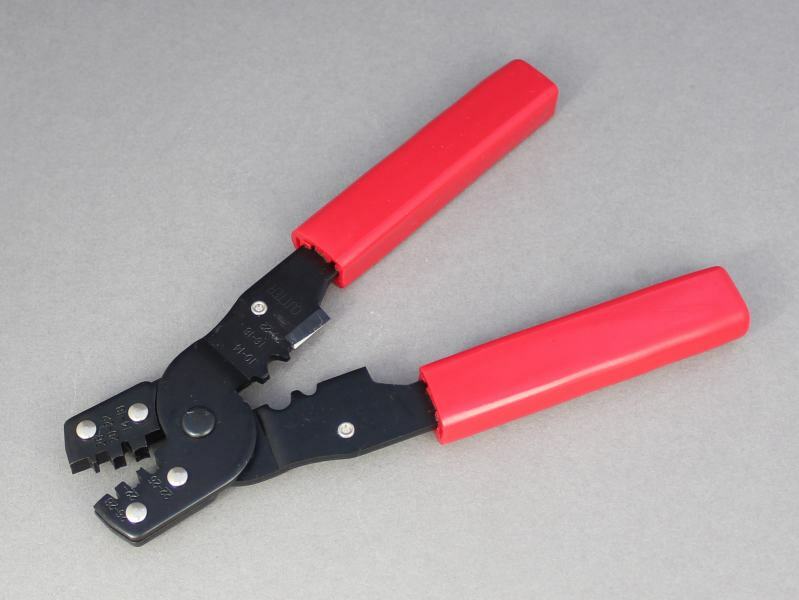 A well made solid little tool makes very tidy crimps. I will shop here again, thank you 12 volt planet. Great wee tool for small uninsulated connectors. Bought this to put new wiring plug onto my Peugeot. Worked fine.